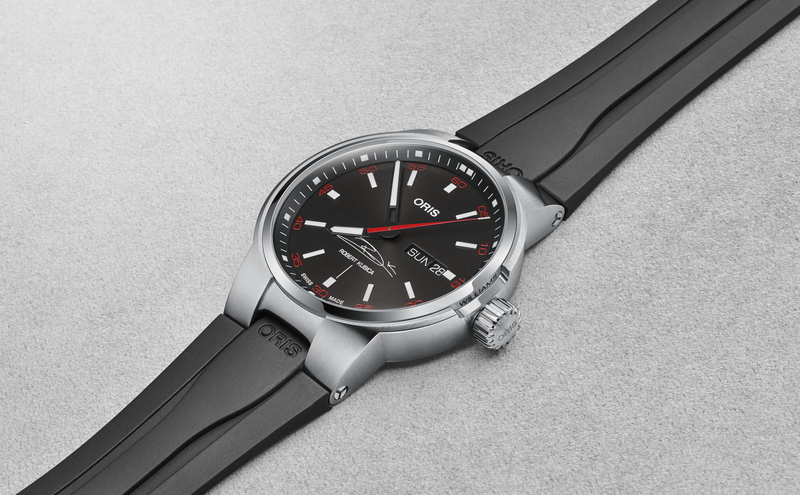 This past week, Oris launched the world’s fist automatic watch equipped with an altimeter. 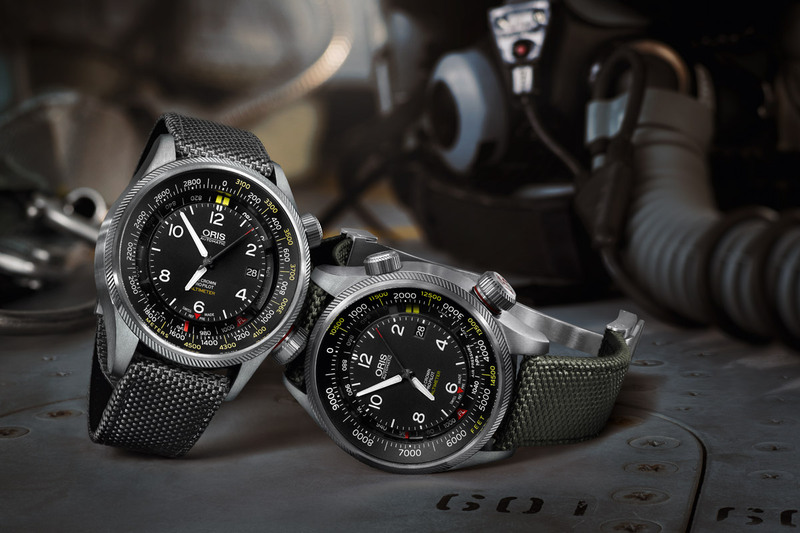 The professional pilot’s watch is based on the Sellita SW200 and fitted with an integrated mechanical barometric altimeter module (made by Revue Thommen AG). 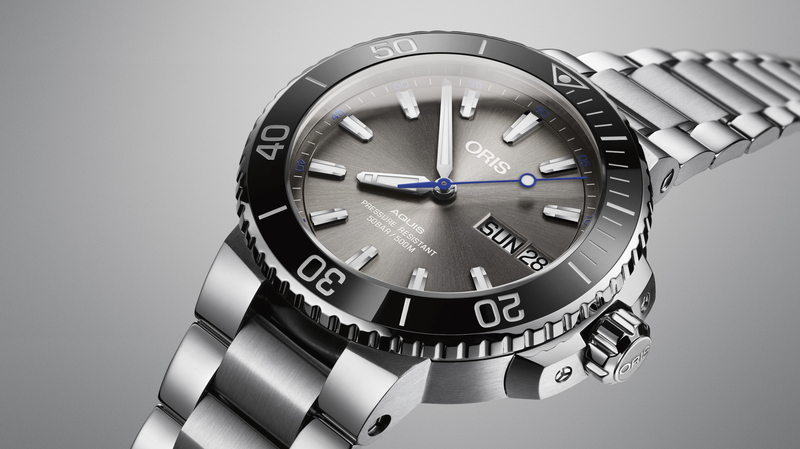 The Oris Big Crown ProPilot Altimeter watch comes in a 47 mm stainless steel case, is fitted with a domed sapphire crystal with anti-reflective coatings on both sides, a screwed case back and two steel screw-down crowns (one for the time setting and one for the altimeter). Water-resistance is 100 meters. The dial is black dial with printed Arabic numerals and indices. The hour and minute hands have a white Superluminova treatment. The altimeter functions are located in the outer chapter ring and flange, and are adjusted by a new Oris patented venting crown with PTFE vapor barrier. 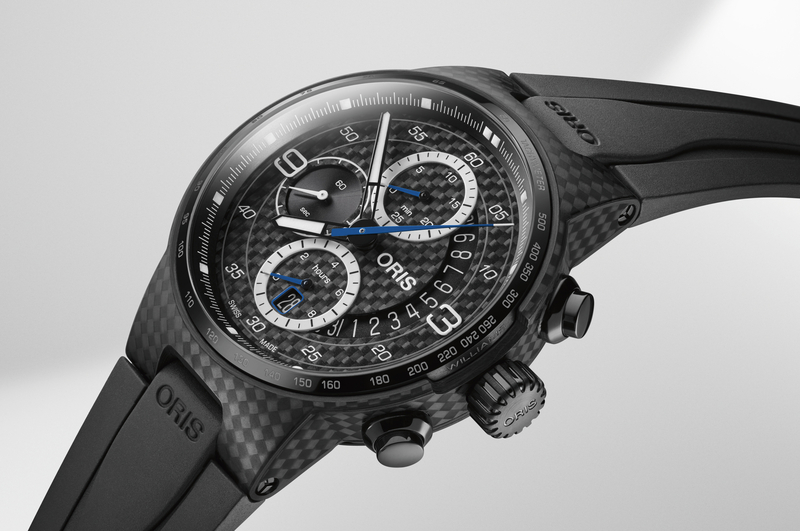 The altimeter is made from laminated carbon fiber and utilizes an aneroid capsule, which is similar to the Breva Génie 01. The retail prices with be approximately $3900 and $4200, on textile strap and metal bracelet, respectively.